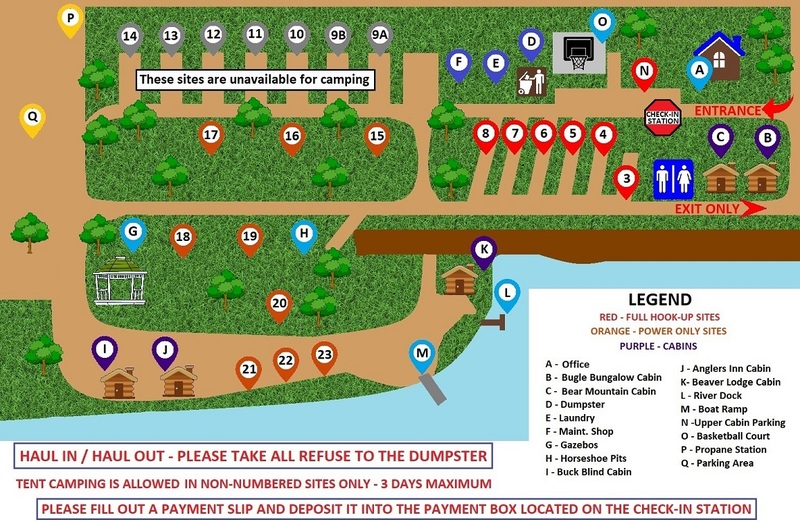 ​Below is a park map for you to choose your favored site. To check availability of each site or cabin, please check our reservations page. Below the Park Map is a description of each site and cabin. ​Thank you for choosing Rivers Edge RV Park! !